Here’s a backwoods, back-to-basic music treat. 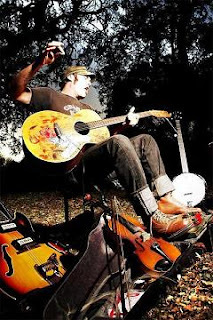 Working under the stage name of Possessed by Paul James, songwriter Konrad Wert is a one-man band, playing guitar, banjo, fiddle, and a foot-operated percussion instrument called a stomp box. But the most significant part of his music is his voice. As evidenced on his latest album, Cold and Blind, when he gets going, he sounds like (you had to have seen this coming) a man possessed. Possessed by Paul James joins that loud, rowdy pantheon of blues-shouting, one-man bands like Richard Johnston, John Schooley, Scott H. Biram, and Bob Log III. But Wert is creakier and more country than these others, though just as wild. He’s like some lost Lomax field recording come to life. Although Cold and Blind is on a European label (the irrepressible Voodoo Rhythm Records from Switzerland), Possessed by Paul James is American through and through. He was born and raised in an Amish-Mennonite family in Immokalee, Florida. According to some accounts, his dad was a preacher. “Paul James” is a combination of his father’s and grandfather’s names. Wert spent some time in Colorado; these days he lives in Kerrville, Texas, and has a day job as a special-education teacher. The important thing is that Wert sounds as if he’s emerged from some primordial swamp where every shadow might be a demon. As he shouts and yelps, which he does on the title song and on “The Gallows,” you can imagine him as some sinner in the hands of an angry God. And when Wert plays his fiddle at what seems like 1,000 miles an hour, as he does on “Sweet Mary Alice,” it’s hard not to think about Stephen Vincent Benét’s poem “The Mountain Whippoorwill (Or, How Hill-Billy Jim Won the Great Fiddlers’ Prize)” — and Charlie Daniels’ song “The Devil Went Down to Georgia” — about the country boy working his bow like a maniac to save his soul in a contest with the devil. Wert is explosive on crazed stompers like the ones mentioned above. There are some softer, slower songs here, like “Vodka and a Fight” and “Ferris Wheel” that aren’t as impressive. But I guess you have to catch your breath sometimes. Even when you’re possessed. * The Ballad of Don Clavio by Bobby Brodsky. This is probably the greatest work of outsider music to ever come out of Santa Fe, at least since singer-songwriter Julien Aklei (best known for her album We Can Mate With Rabbits) left town. This record is produced by none other than the ever-prolific Joe West. By comparison, West’s Mike the Can Man EP is downright mainstream. Brodsky is a singer and poet (and longtime potter in La Cienega) whose stream-of-consciousness lyrics and recorded telephone conversationse the album. He rambles on about all sorts of things: a friend’s suicide, his belief that someone had stolen his guitars, and old drug habits. The best tracks come off as actual songs featuring a band led by West. It’s a lo-fi affair to be sure, but much of it is charming in a weird way. Also cool is “Love Is in the Air,” which features a folk-rockish tune with a truly tacky organ lead interrupted every few seconds by Brodsky saying, “There’s love in the air,” sounding like his voice was recorded from a shortwave radio broadcast. And I’m not sure why a minute or so of some random movie or TV dialogue was tacked on. "Then there’s a nasty little garage-rock groove called “Rules of Bobby” that’s a whole lot of fun. The main problem with the album is there’s too much aimless chatter. Brodsky’s seven-minute meditation on his first name (“My Name Is Bobby”) gets tiresome. But West has to be commended for his innovative use of chirping birds, which frequently pop up in unexpected places. * Santa Fe All Stars. This is another recent project involving West. He sings and plays guitar with the aptly named All Stars, a group that includes mandolinist Sharon Gilchrist, upright bassist Susan Hyde Holmes, and guitarist Ben Wright. 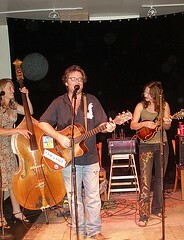 Their music is steeped in bluegrass. This is a seven-song EP (26 minutes in all) featuring three West originals, a Gilchrist composition (a gorgeous lullaby called “Walker”), a Tom Waits cover (“Jockey Full of Bourbon,” sung by Holmes), and a couple of traditional folk-bluegrass standards (“Handsome Molly” and “Billy in the Lowground”). The album is short but full of delight. 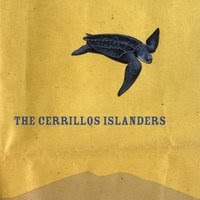 *The Cerrillos Islanders by the Overman Family Trio. I’ve been a fan of Dennis Overman’s music much longer than any of us would like to admit. I first heard him play when I was a freshman in college back in 1971 (please don’t do the math), when he was in a band called The Family Lotus with Jim Bowie, Jerry Faires, and other card-carrying hippies. 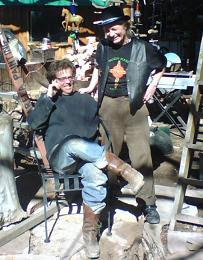 The trio, also known as the Cerrillos Islanders, consists of Dennis, his son Ian, and his daughter Gretchen. Dad learned ’em good in the ways of music. This is a nice, laid-back acoustic album of good original songs with lots of banjo and Dobro. My personal favorites are “Where’s My Check?” the ballad of a motel maid or janitor with an attitude sung partly in Spanish; Ian’s marimba in “What’ll It Be (A Soldier’s Song)”; and the lonely lament “Just Because,” which sounds nice and spooky. UPDATE: In case you got here by permalink, be sure to check out my collection of one-man hillbilly/blues-band videos featuring Possessed by Paul James and other favorites HERE.